An investigation team found that 10 patients were to be operated upon by persons who neither had MBBS degree nor any specialization for conducting surgery. Nainital: The Uttarakhand High Court today ordered to seal all the hospitals and clinics running without registration in the state. A division bench of Acting Chief Justice Rajiv Sharma and Justice Manoj Kumar Tiwari instructed to seal all such hospitals in the state. Hearing a PIL, the court asked the government to strictly adhere to the provisions of law and fix the prices of various medical tests. 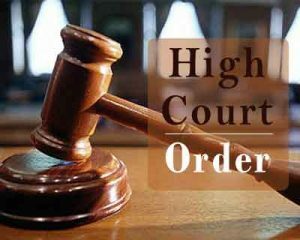 The court delivered the order after two private hospitals running at Dooraha in Bajpur and Kailkheda were found operating illegally and no action was taken against them. It expressed dismay that the two hospitals neither had qualified doctors nor were registered. Despite this, doctors without degree or specialisation were conducting surgery, the court said. An investigation team found that 10 patients were to be operated upon by persons who neither had MBBS degree nor any specialisation for conducting surgery. The Court has asked to seal such hospitals whose registration has not been done under the Clinical Establishment (Registration and Regulation) Act 2010. It warned the hospitals against making the patients go through unnecessary diagnostic tests, saying they should not pressure the patients to buy “branded drugs” and prescribe only generic drugs. At the same time, the court also said the front wall of the ICU in the hospitals should have glass panes so that the relatives of the patients could see the patient. It also said hospitals should provide patients’ health information to the relatives present every 12 hours and their videography should also be done. VERY VERY BAD IT TOOK NEARLY 70 YEARS TO WAKE UP AND TO INITIATE ACTION AGAINST SUCH AN EVILS , WHO MIGHT HAVE DONE SO MANY WRONG THINGS OUT OG OF GREED . THIS IS IN UTTARAKHAND . HOW ABOUT OTHER STATES ACROSS THE COUNTRY?? ?.